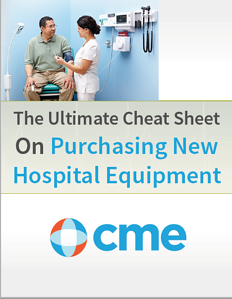 Download "The Ultimate Cheat Sheet on Purchasing New Hospital Equipment"
The procurement process for equipping an expansion, remodel, or new construction project for a hospital, health system, or IDN can be daunting to say the least. It is important to be sure that all the equipment is ordered in a timely fashion, scheduled for delivery at the right time, installed, set-up and functioning properly. Our Ultimate Cheat Sheet On Purchasing New Hospital Equipment is designed to provide you with a reference, while you’re overseeing your projects. It’ll ensure that all the salient points are addressed and all the bases are covered.